This is a rectangular Croce’s Beverages porcelain sign. This particular Croce’s Beverages sign is predominantly orange with black and white text. 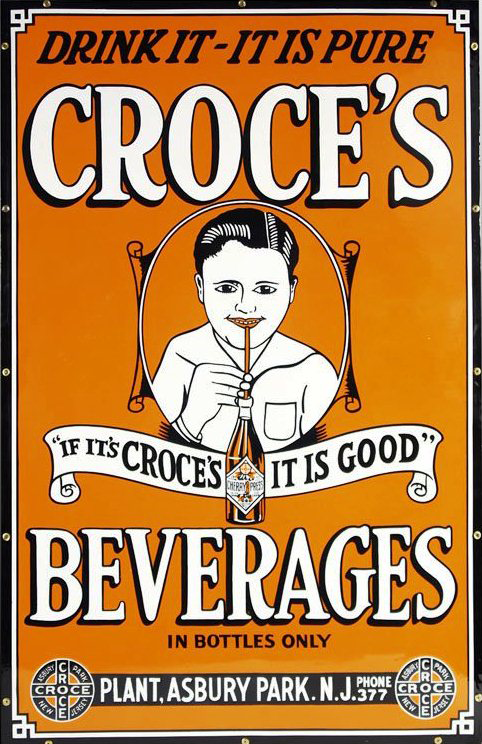 It reads, “Drink It- It Is Pure, Croce’s Beverages In Bottles Only, If it’s Croce’s, It Is Good, Plant, Asbury Park, NJ, Phone 377” and features a young boy enjoying a bottle of Croce’s.